Whispering Gums is the sort of meticulous reader every writer dreams of. And this reader is a reviewer who happens to write like an angel. Once upon a time a redheaded warbler sang a song to a crowd of people gathered to hear her and readings from a book about two red-headed twins. The singer was Clare Bowditch, songwriter, mother of twins-plus-one, social activist, philosopher and entrepreneur. The reader was Howard Goldenberg, author, GP and marathon runner. In this 3 minute video Howard reads from Chapter 1 of his novel ‘Carrots and Jaffas’, a book about two identical twins whose intimate bond is ruptured when a kidnapping occurs. Please let me know what you think. Should I publish an audio book? He’s a big bloke in all directions, tall and broad. His face is round and it smiles widely as he enters the Doc’s consulting room. He has an open gaze. The Doc makes room for the big man to pass. “Thanks Doc.” He offers a large hand. Doc’s hand disappears inside his patient’s. The grip is manly firm, manly gentle. “I’ve got hypertension. Need a repeat of my tablets.” He smiles, his jowls rise and shine and recede. He tells the Doc he is sixty six. He is a man who invites conversation. The Doc asks Alex where he lives. “Port Augusta. Been there forever. Born there. Father met mother there, in primary school. I’ve got a sister, a good bit older. The glow on Alex’s large face gives way to something deeper as the man slows his flow. Something is happening. Homage? Damage? In Alex’s mouth, the word is a sentence. The Doc looks at him. “Very close…Thirty years back he went to New Zealand for a fortnight and he stayed. He came back to see me, stopped with me here, for 12 months. Here we are together.” Alex fishes in his wallet and pulls out an old colour photo. Two large round men in their thirties sit in a small fishing boat and smile goofily into the sun. The light bleaches their faces and sets fire to their red hair. One of the men rests his hand on the other’s shoulder. “After that year he went back to N.Z. To his friends and his life. The serious face recedes inward for a moment. The Doc is forgotten. Alex is alone with memory of the feeling, with feeling returned. He looks out at the younger man: “Knocked me around something terrible.” He stops, shakes his head. The Doc looks away while the other man composes himself. At length he resumes. His face is earnest now as he searches for words to carry feeling: “You know, I lost my son. Suicide. A pause as he searches for dates…“Seven years and one day. There wouldn’t be a single day when I don’t think of my brother. The large man takes his prescription and shakes the Doc’s hand. He conjures a smile for the Doc and he leaves. As a family doctor I’ve been thinking about the co-payment to be made for bulk-billed visits to the GP. It has taken me weeks to come to some sort of appreciation of what is going on. A surprisingly long time, really given that I have average intelligence and a keen direct interest. Let me tell you what I have discovered – three things. The first is no-one has a very clear idea of how the system will work. Will it work like the GST where the provider of the service acts as the government’s tax collector? Will the literally penniless who attend a GP be seen and treated, or must the GP send that person to a public hospital? Or will we be permitted (thanks Messrs Abbott and Hockey) to treat that person gratis? WHAT IS CLEAR HERE IS OBSCURITY. OBSCURITY FATHERS CONFUSION, WHOSE OFFSPRING IS ANXIETY. THE POOR WILL GET SICKER. I work both in middle class clinics where we bill patients privately and in outback Aboriginal communities where bulkbilling is universal and absolutely and literally lifesaving. Privately billed patients will hardly blink. 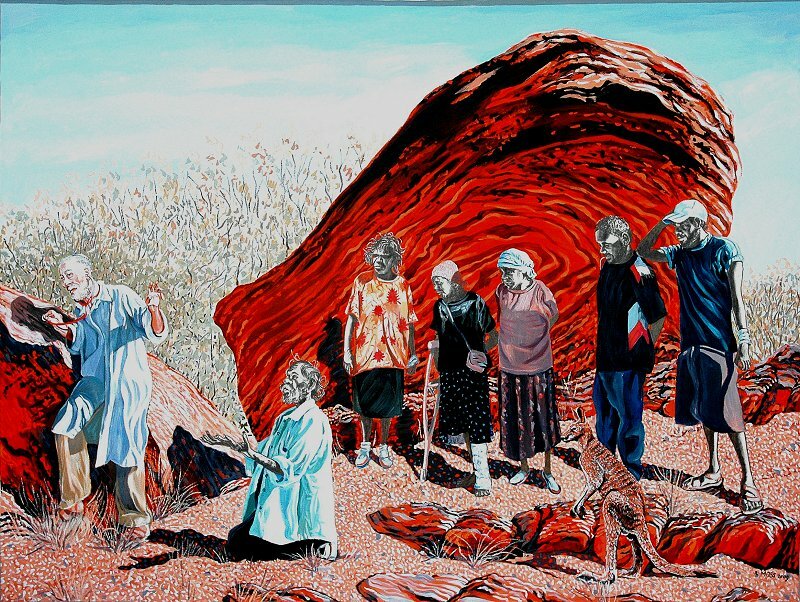 Aboriginal patients will revert to the traditional healer. If you aren’t appalled at this thought please consider the case of your own child, 500 kilometres from a hospital, feverish, endangered, and effectively unattended. Dickens wrote of this plight in the London of his day. Messrs Hockley, Abbott – go bush, sit down, listen and reconsider! Finally, I gather the bulkbilled will enjoy a safety net. After ten co-payments, the system bulk-bills them again, free of charge. Ten times seven equals seventy, equals 1 and a smidgeon dollars a week, equals less the cost of one icy pole every five days. Where’s the gain? The gain is derisory: that means BUGGER ALL help to the bottom line. The gain comes at the cost of derision. Messrs A and H hold us in derision. Where’s the pain? The pain is in the deterrence. Don’t go the doctor if you are poor. It’s not government policy. Where’s your mateship? Your citizenship? Your sense of responsibility? The age of entitlement is over. Get real. Get rational. Harden the f-up. I know how hard hard can get. That condition is called rigor mortis. A roomful of people in the dusk of the inaugural Melbourne Jewish Writers Festival, expectant, keen to hear and discuss “Carrots and Jaffas”. I anticipated we’d be fewer. I should have known Emily Lubitz (from Tin Pan Orange) and Martin Flanagan (journalist) would attract people. But Emily sent a series of text messages. 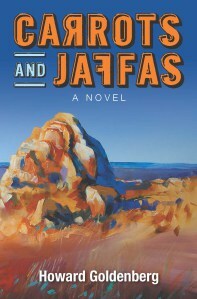 Martin Flanagan, journalist, novelist, anthropophile, led a conversation about the book, about my choice to turn from serious non-fiction to the novel, about stolen children – the ultimate wound, about twinness, about the problems and pitfalls of the whitefella writing about blackfellas. 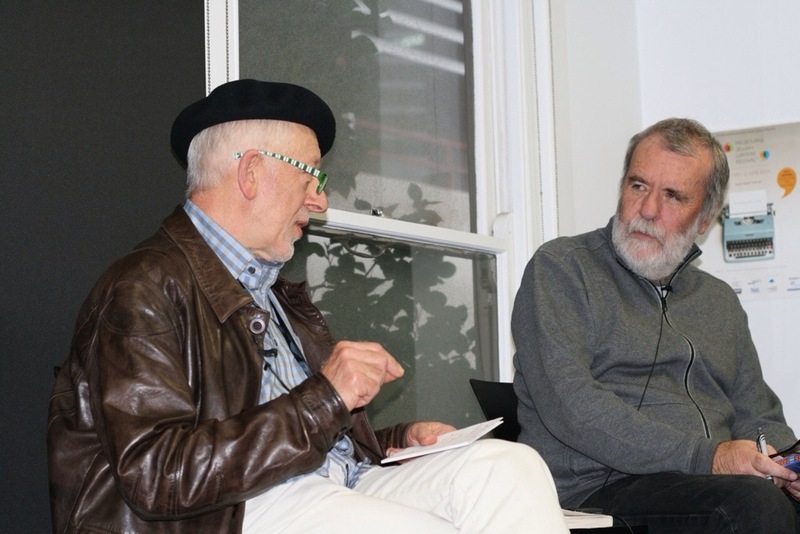 An audience of committed, highly informed and compassionate people engaged us in a conversation about the interfaces between Australia’s first peoples and later comers. They explored the curious and recurrent engagement of blackfellas in Jewish affairs that started with William Cooper, and the reciprocal engagement by Jews in Aboriginal advancement. Martin and our audience created an atmosphere of the most distinctive quality. Humans and their stories, people and their dreams, the mystery and the sanctity of the Dreaming, the heritage that is memory, the sacrament that is storytelling – all these were raised up and seen at their height.